@Mike_McGough outlasts David Reilly to take down the inaugural Changeup title - event 6 in the 2017 Ante Up Worlds series. McGough and Reilly did an even split of $3,296, leaving $100 cash and a $400 Head to Head Championship seat to play for in the final heads-up match of this unique tournament format. The original 115 entries played 9-handed until down to 24 entries. The field split at that point in to four 6-handed tables, and a shootout format took over. Winners of each of the four tables - McGough, Reilly, Fred Soria and Gary Tanko - then played single elimination heads-up matches. McGough defeated Soria to reach the finals, while Reilly knocked off Tanko. 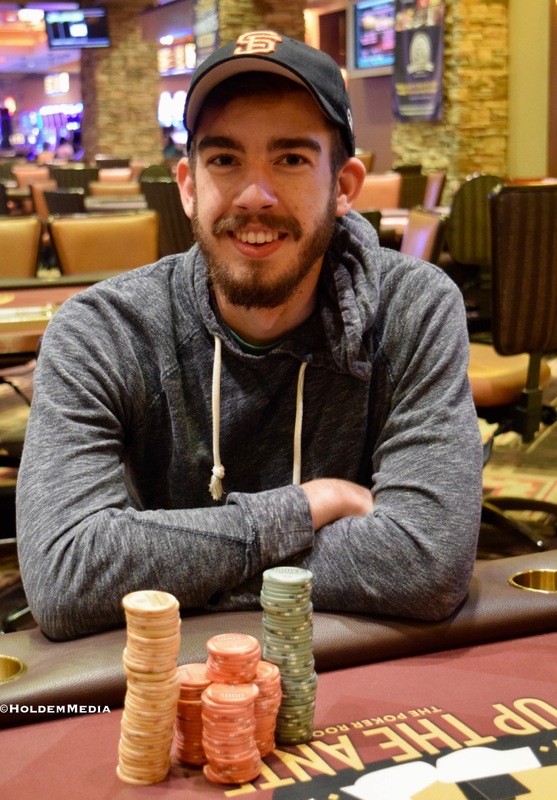 McGough's total take-home is $3,796, including the Head-to-Head Championship seat. Here are the final Changeup results. * = First Place includes $400 Head to Head Championship seat.